The Twist Podcast | Listen Free on Castbox. News, reviews and opinion with a Twist. 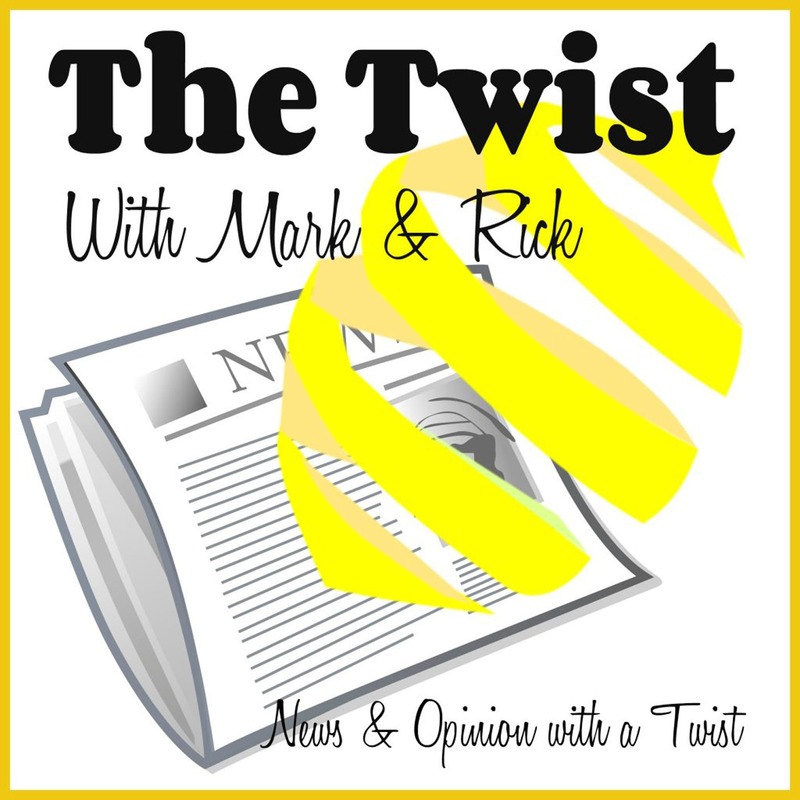 Co-hosts Mark McNease and Rick Rose take a weekly look at the headlines, along with reviews of places we've been and think you might like, too, as well as commentary from our own Twisted perspective. Join co-hosts Mark McNease and Rick Rose as we take a look at the Trump-led hit on Ilhan Omar, being queer and disabled, Bernie’s Fox debate bash, and the week in headlines. Join co-hosts Mark McNease and Rick Rose as we take a look at Texas’ hate-a-palooza, what to love about Alexadria Ocasio-Cortez, our new ‘Yes or No’ fun feature, the Twist List, and the week in headlines.Enjoy The Twist on Libsyn, iTunes, SoundCloud, Stitcher, Castbox, Spotify, and TheTwistPodcast.com. Join co-hosts Mark McNease and Rick Rose as we take a look at the trauma of coming out as binary, the Facebook police, fabulous farmers markets, and the week in headlines. LISTEN FOR MARCH’S WORD OF THE MONTH! Be the third person to identify the word and win an Amazon $25 gift card.Join co-hosts Mark McNease and Rick Rose as we take a look at Trump’s Bible book signing, trends in Lent, rightwing nutjob judges, and the week in headlines.NEW AT THE TWIST: You can now subscribe directly to The Twist Podcast for a handy email with each new show AND GET A FREE COPY of the fan-fave murder mystery Black Cat White Paws: A Maggie Dahl Mystery when you do! Join co-hosts Mark McNease and Rick Rose as we take a look at the coming schism in the Methodist Church, Michael Cohen’s last stand, MAGA reactionaries, and the week in headlines.NEW THIS WEEK: You can now subscribe directly to The Twist Podcast for a handy email with each new show AND GET A FREE COPY of the fan-fave murder mystery Black Cat White Paws: A Maggie Dahl Mystery when you do!Enjoy The Twist on Libsyn, iTunes, SoundCloud, Stitcher, Castbox, Spotify, and TheTwistPodcast.com. Join co-hosts Mark McNease and Rick Rose as we share our listeners’ top 5 national emergency wish list, discover the best places to snowmobile, and take a Twisted look at the week in headlines.NEW THIS MONTH: Win a $25 Amazon gift certificate by being the first listener to identify our Word of the Day and email it to us at: TheTwistPodcast @ Outlook.com! We’ll be offering this giveaway each month only on The Twist.